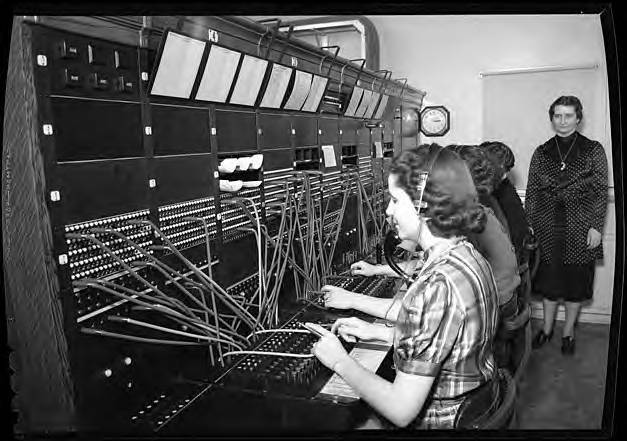 Black and white image of several women manning a telephone switchboard. They wear headsets with microphones that rest on their chest, and the phone calls are connected by cords which plug into the switchboard to make the call. A woman in a dress stands at the end of the row, observing. This images was part of the Herbert McMullen bequest. McMullen was a local photographer who also collected other images of daily life in the area.